By accessing the Site and/or by submitting personal data manually or in electronic form to us, you give your consent that all personal data that you submit will be processed by us in the manner and for the purposes described below. By sharing information with us, we are able to provide an even better service to you. As you use our services, we want you to be clear how we’re using information and the ways in which you can protect your privacy. Please read the following carefully to understand our views and practices regarding your personal data and how we will treat it. If you have any questions at all about this policy or the Site or about how we use and process your personal information, please do not hesitate to contact us by e-mail at [email protected] or, alternatively, in writing to Green Element Limited, 50-51 High Street, Wimbledon Village, London, SW19 5AX. 1.1 We are committed to protecting the privacy of the users of our Site. We are the sole owner of the information collected on the Site. We will not sell, share, or rent this information to others in ways different from those disclosed in this statement. 1.2 We collect information from you at several different points on the Site. We use various analytic tools which track matters such as your use of the Site, the type of your device in use and location and length of time using the Site. 1.4 The data we collect from you may be transferred to, and stored at, a destination located outside the UK but within the European Economic Area (“EEA”). By providing information to the Site you expressly consent to such information being transferred or stored outside the UK but within the EEA. 1.5 Unfortunately, the transmission of information via the internet is not completely secure and although we take all reasonable steps to protect your personal data, we cannot guarantee the security of it. Any transmission of personal data to the Site is at your own risk. 1.6 We will only keep your personal data for as long as necessary to allow you to use the Site. 1.6.4 give consent to the processing of his/her personal information. We will not capture data about public (unregistered) users of the Site, other than your IP address and session details such as pages viewed and type of browser used. This information is automatically logged by the web server and will be used to evaluate the use and performance of the Site. In order to use the Site, you must first complete the registration form and all details required in it. During registration you are required to give your contact information (such as name, email address, postcode, gender and password). This information is used to contact you about those services on the Site in which you have expressed an interest. It is optional for you to provide other personal information, but this is encouraged so we can provide a more personalised experience of the services available through the Site. 4.1 We may share (whether or not for payment) aggregated demographic information with our partners and clients for marketing purposes. This is not linked to any personal information that can identify any individual person. 4.2 We may also use such aggregated information and statistics for monitoring the Site usage in order to help us develop the Site and our services and may provide such aggregate information to third parties. 5.1 A cookie is a piece of data stored on your hard drive containing information about you. Usage of a cookie is in no way linked to any personally identifiable information while on the Site. Once you close your browser, the cookie simply terminates. For instance, by setting a cookie on the Site, you would not have to log in a password more than once, thereby saving time while on the Site. If you reject the cookie, you may not be able to use every function of the Site. Cookies can also enable us to track and target your interests to enhance your experience of the Site. 5.2 Information collected from cookies and other technologies, like pixel tags, will be used to improve your user experience and the overall quality of our services. For example, we will be able to have our services appear in the language you prefer and provide you with specific tailored ads. 8.1 We may send out newsletters, daily emails or alerts to you. We may also wish to provide you with information about special features of our Site or any other service or products we think may be of interest to you. This is an opt-in email option selected when you register to the Site. At any time you can alter your personal profile on the Site to disable any further emails. 8.2 From time to time the Site may request information from you via surveys or contests. Participation in these surveys or contests is completely voluntary and you therefore have a choice whether or not to disclose this information. Information requested may include contact information (such as name and shipping address), and demographic information (such as postcode or age level). Contact information will be used to notify the winners and award prizes. Survey information will be used for purposes of monitoring or improving the use of and satisfaction with this Site. 9.1 We make every effort to ensure that our practices, procedures and systems comply with the relevant data protection legislation. 9.2 We shall only use your personal data in accordance with the legal requirements, principles and best practice recommendations by current legislation, which grants you various rights in respect of the processing of your personal data. 9.3 For more details about your rights regarding personal data, the rules we have to adhere to in collecting and storing your information, and how you can check your data records, please visit www.dataprotection.gov.uk. 9.4 You have a right to receive a copy of the information we hold about you by sending your request in writing to us at Green Element Limited, 50-51 High Street, Wimbledon Village, London, SW19 5AX. 10.1 If any information regarding you requires to be corrected, updated or changed it is your responsibility to advise us of the required amendments. Please note an archive copy of any information provided to us may be retained by us for our records and for audit purposes. 10.2 You may change your preferences at any time or request that we stop sending you email communications by contacting us at [email protected] There is also an ‘unsubscribe’ button at the bottom of every email communication we send. 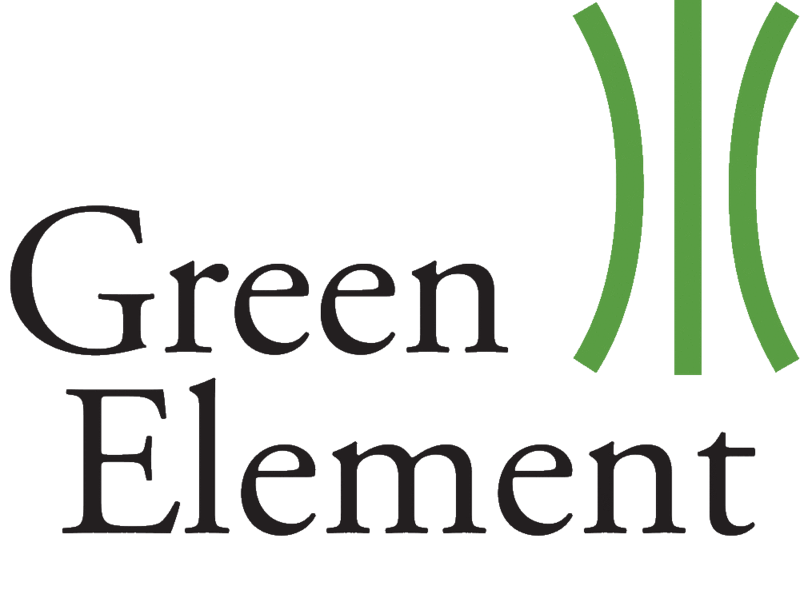 If you have any questions at all about this policy or the Site, or about how we use and process your personal information, please do not hesitate to contact us by e-mail at [email protected] or, alternatively, in writing to Green Element Limited at 50-51 High Street, Wimbledon Village, London, SW19 5AX.